Beads are captured by bends in the wire. Kind of like a ladder, but more like a crankshaft. The dangles measure about 2.5 inches, 3.25 from top of the earring total length. Very geometric and different, the design came to me in a dream. 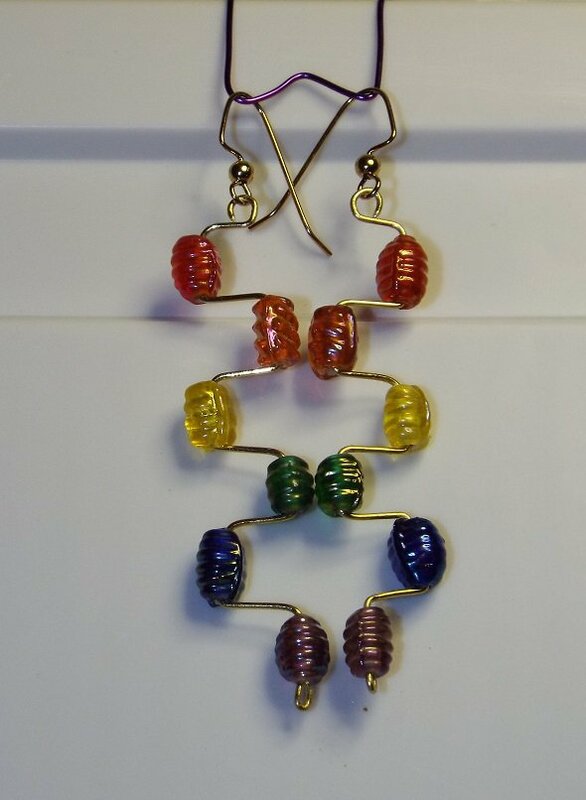 Shown in gold (with gold plated ear wires), but also available in silver colored wire with sterling hooks, or black enameled wire and black hooks.